I was fortunate enough to be given an entry into the 2012 13.1 Los Angeles race and an entry to raffle from my blog. I had heard good things about the race so I was excited to run this race. Now, keep in mind I am in the middle of Ironman training and just coming off working on my form so I haven’t been doing much speed work. I had no intentions of going for a PR. I just wanted to go out and run a comfortable half marathon and enjoy the camaraderie of a race. And that is exactly what I did! Getting to the start was a little crazy since they had to funnel about 2800 people into a rather tight location but who wants to sit around waiting for a race to start anyway? 15 minutes before start time is just fine! 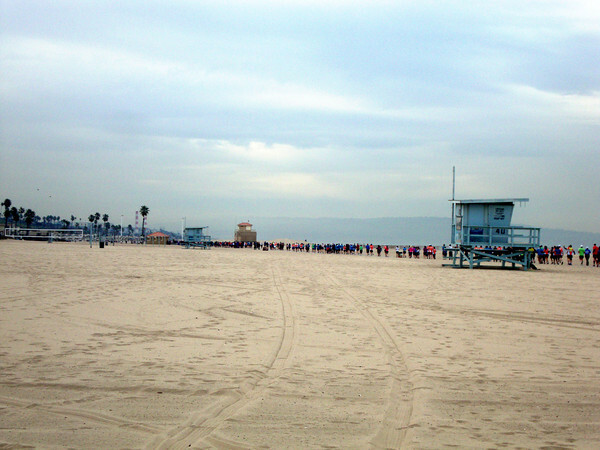 The race starts in Venice and you run right down the beach path where all the vendors set up shop. We start early enough that there aren’t any tourists there so we had the boardwalk to ourselves. Then you start winding through a bunch of places I am totally unfamiliar with but some of the names I heard were Marina del Ray and Playa del Ray. 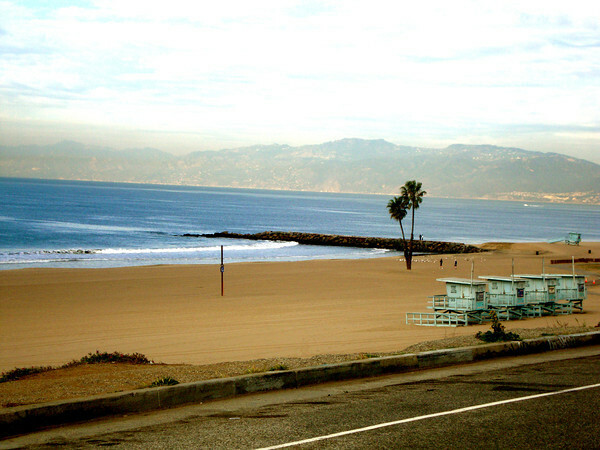 My favorite part was running on Dockweiler Beach where I saw dolphins surfing in the waves! One interesting observation of this route was I have never experienced so many different smells in a race. There was pot in Venice, beach at Dockweiler, jet fuel as we ran under the take off pattern for LAX, and the worst one sewage as we ran by a treatment facility, TWICE! The route was great, the scenery beautiful, but that sewage was something I have never experienced before! View on the return, pretty awesome! Now because I got to the start a little later that expected I actually had to make a pit stop during the race (something I don’t usually have to do). Every aid station had a couple of potties but I waited until I found one with no line. All the aid stations were also stocked well with blue Powerade (but from a red berry, what is that all about?) which I really liked the flavor of and water of course. They even had a ton of Cliff shots gels at one station. So for my run…I was pretty consistent and essentially held an 8:30 pace and finished with a time around 1:53. The finish line area was great; lots of space to spread out and stuff to look at and eat. But because it was a gray kind of day I starting getting cold pretty quickly. So I hopped on the waiting shuttle and went back to the start. Overall it was an awesome low stress kind of race. I had a lot of expectations tied to my last couple races so it was awesome to run stress free and just enjoy the half marathon. If my training schedule permits next year (and I think it should), I will be doing this event again for sure! Great time!!! I would do this one again, minus the sewage smell! I am SOOOOO glad you had fun.